While most of the Bollywood stars try to keep their private lives private, some secrets of their private lives get revealed anyhow. It’s a fact that each and every Bollywood star has to face criticism at some point in their career. While many actors’ names are linked up with different females, here are the names of the famous Bollywood actors who actually divorced their first wives and then got married to someone else! 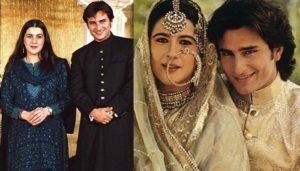 The whole nation was shocked when Saif Ali Khan married Amrita Singh who was older than him. Both of them have one daughter and one son together. According to the sources, their relation got hampered due to Saif Ali Khan’s extramarital affair with a foreigner named Rozza Catalonia. Soon both of them got divorced and Saif decided to move on in his life by marrying Kareena Kapoor Khan. Now, both Saif Ali Khan and Kareena Kapoor Khan are living a happy life with their son Taimur Ali Khan. Aamir Khan and Reena Dutta decided to get married after being in love for a few years. When they got married, people actually thought they were the perfect match for each other. Sadly, temperamental differences made their relationship unstable and they got divorced in 2002. After three years, Aamir Khan got married to Amrita Rao whom he met at the set of Lagan. Now, both of them are living like a happily married couple! Sanjay Dutta got married to Richa Sharma in 1987. When everything was going smooth, Richa was diagnosed with a brain tumor at her final stages. After Rica’s death, Sanjay Dutta got married to Rhea Pillai in 1998. But, this marriage didn’t work and they both got divorced in 2008. In 2008, Sanjay Dutta married Manyata Dutta who is his wife now and they both have two beautiful kids! 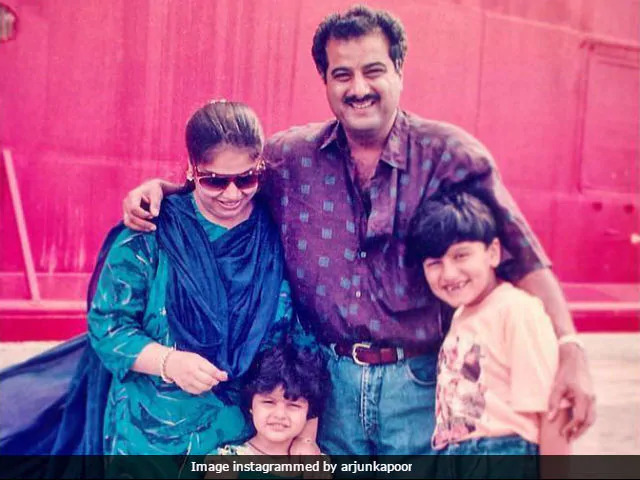 Famous Film Producer Bonney Kapoor got married to Mona Shourie Kapoor in 1983 and both of them have two kids, Arjun Kapoor, and Anshula Kapoor. In the year 1996, Mona discovered the truth of Bonny Kapoor and Sridevi’s affair. 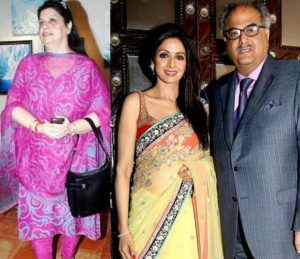 As Sridevi was pregnant with Janhvi at that time, Mona left Boney Kapoor and he got married to Sridevi. Both of them have two amazing daughters, Janhvi Kapoor, and Khushi Kapoor. Sadly, Sridevi died a few months back. Arbaaz Khan married the hot and sizzling Malaika Arora Khan in 1998 and both of them have a son named Arhaan Khan. While everyone used to appreciate their relationship as a couple, they shocked the whole nation with their divorce last year. Now, as per the rumors, Arbaaz Khan is dating Georgia Andriani! Remember KBC’s First Winner Harshvardhan Nawathe? Check out What His Life was then and How It is now!